We met Ryan and Jessica Carr last year at the Wine Bloggers Conference, and enjoyed talking with them and drinking their wine. Actually, I only got to try the Pinot Gris and Pinot Noir as part of the Pinot Noir Heaven tasting night, and their Pinot Gris was worthy of special mention that night. Ryan started out doing vineyard management and still does that, and Carr Vineyards & Winery gets their grapes from vineyards Ryan manages. This knowledge of the grapes shows up in their wines. A good example of the old adage that the first job of the winemaker is to get out of the way of the grapes. 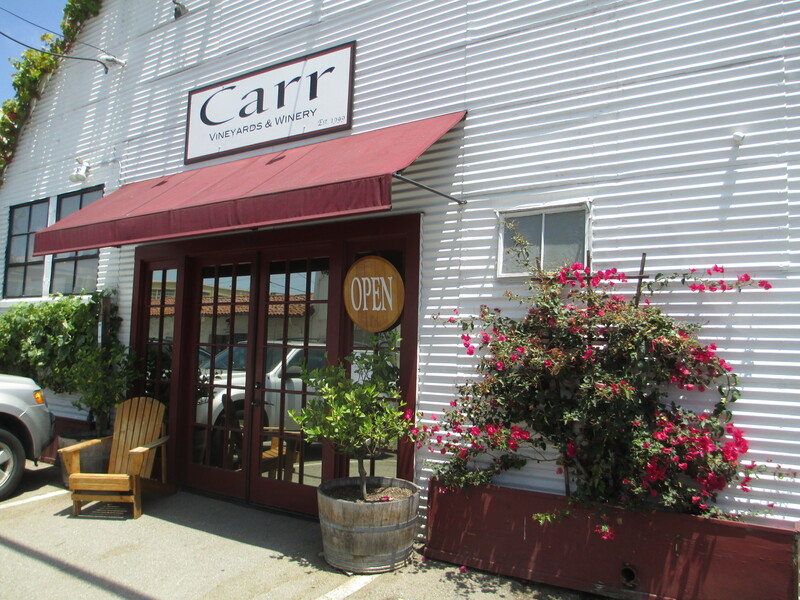 Carr was our last tasting stop on this trip. Their bottle storage, and a tasting room, is in the Santa Ynez Valley, and the wine making and another tasting room are in downtown Santa Barbara. 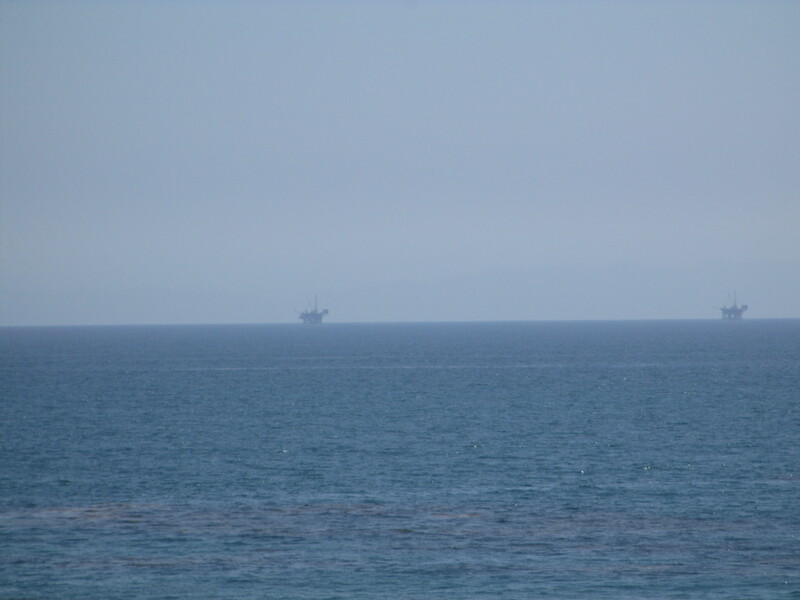 It was the Santa Barbara site that we visited. Small facility, but they have a nice tasting bar and can accommodate more than a few people for tasting. 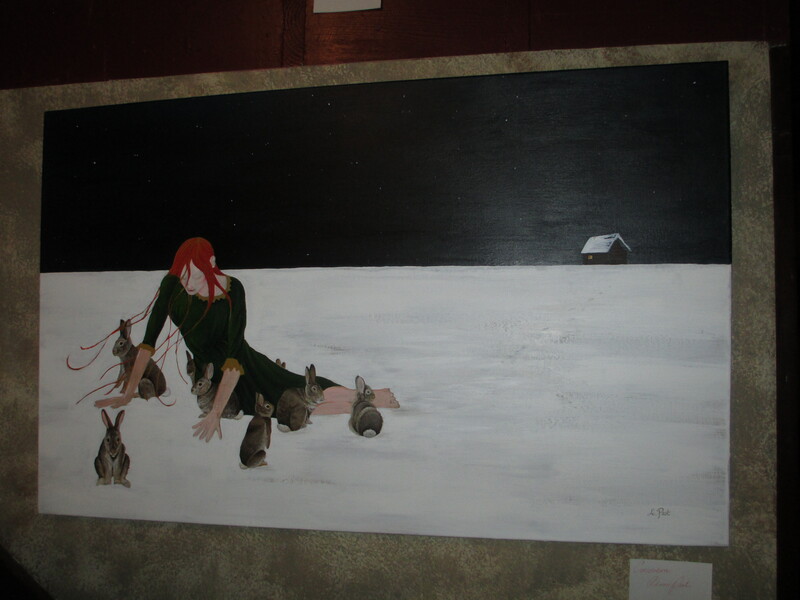 They also feature a couple of local artists in the Santa Barbara tasting room, with different artists each month. Jessica was in the tasting room, and led us through their wines. The Pinot Gris that I liked so much a year ago was great again, now in the 2014 vintage. 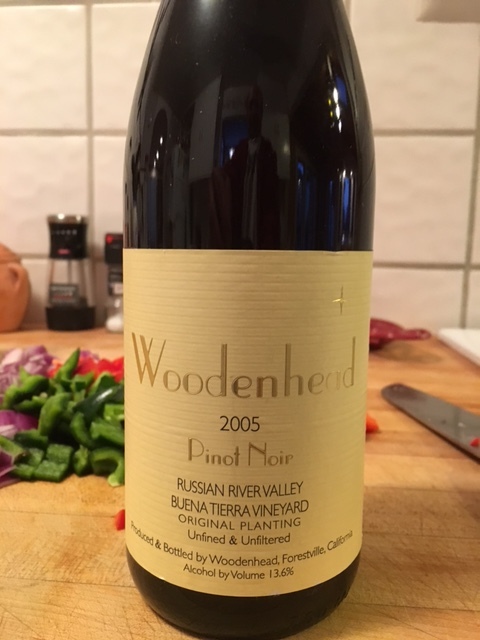 We bought a couple of bottles of this, and opened one the next night with a Roasted Cauliflower and Garlic Soup. In addition to the Pinot Gris, we really liked their Rhône varietal wines. 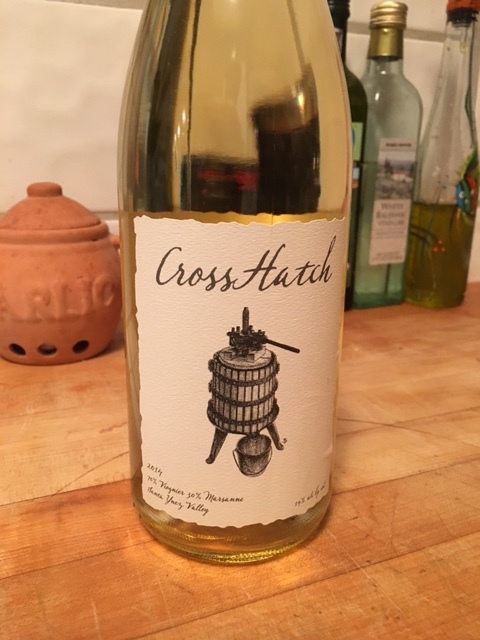 The 2014 Crosshatch white blend (70% Viognier, 30% Marsanne) was very nice, as was their 2012 Syrah (Morehouse Vineyard, Santa Ynez Valley). 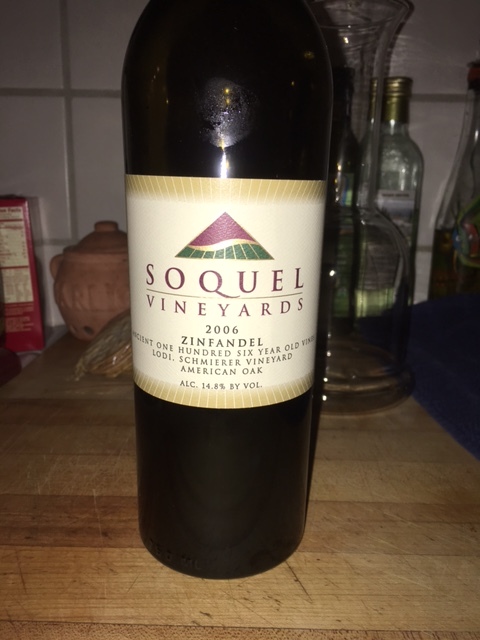 Our favorite was their 2012 Grenache, with the grapes coming from the Paredon Vineyard in Carpenteria, just south along the coast from Santa Barbara, and not from the Santa Ynez Valley. The vineyard is high up, at 1200 feet, so above the fog and direct marine influences, but still a cold climate vineyard. The Grenache was deep red, full bodied, fruity and just plain delicious. As we were leaving the Santa Barbara area, we stopped at a beach park that we had never seen before. 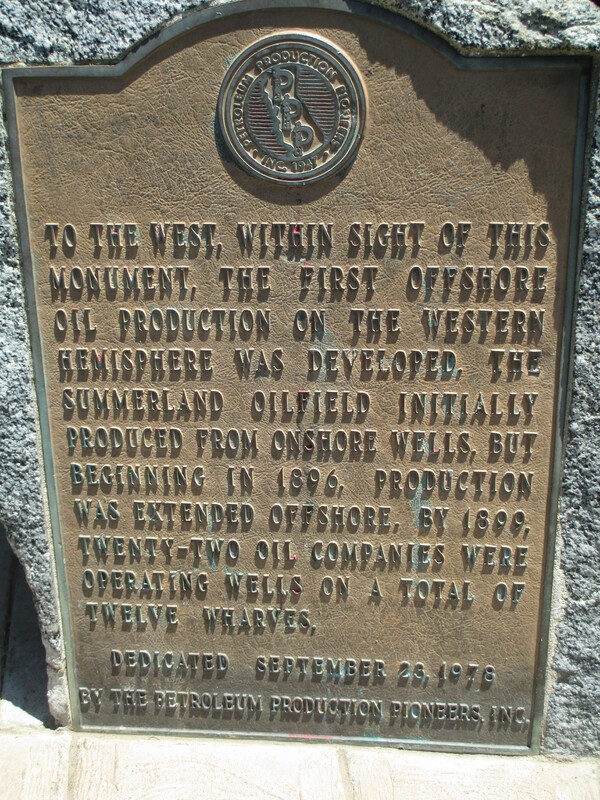 It appears that the park was built by the oil companies that support the offshore oil rigs and other oil activities in the area. Seems to me that building a small park is an absurdly low price for them to pay for the environmental damage they’ve inflicted on the Santa Barbara coast and channel. But maybe those oil execs feel better now, and can sleep at night. This entry was posted in wine tasting and tagged Carr Winery, grenache, pinot gris, Rhone, Santa Barbara County, Santa Ynez Valley, syrah on July 25, 2015 by vvblogman.